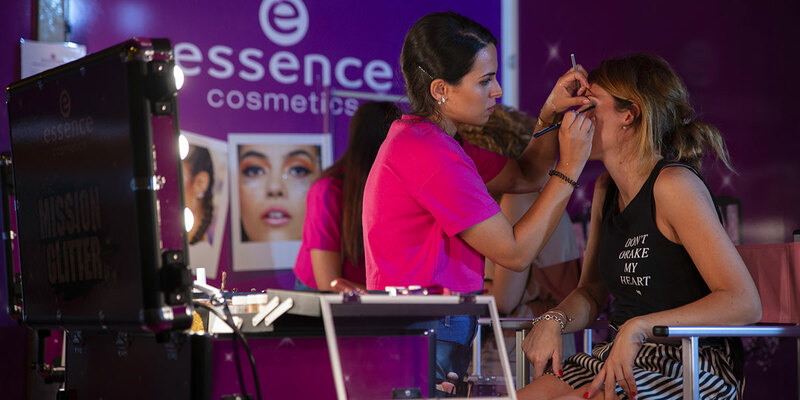 Essence Cosmetics Colours and Glitter at Battiti live! 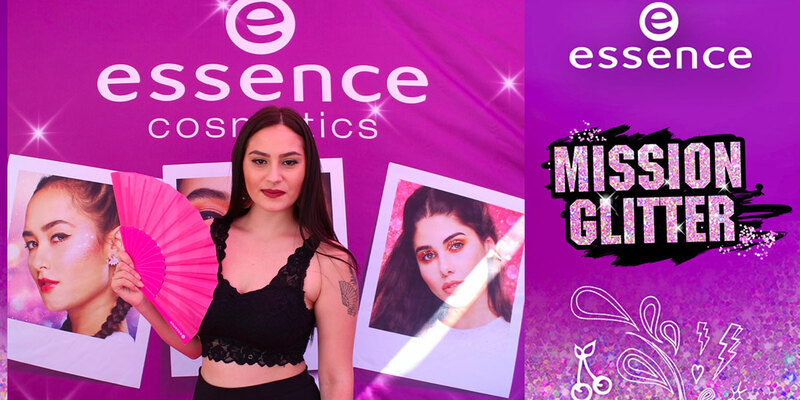 The month of July saw Essence Cosmetics protagonist of the most important summer event for the young target: the musical tour Battiti Live! 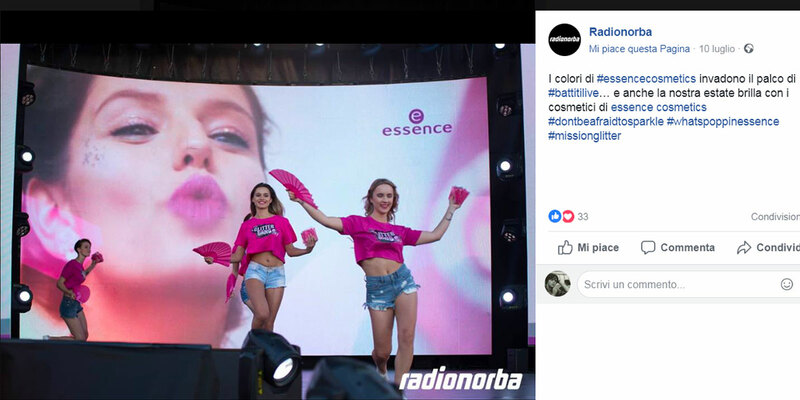 organized by Radio Norba, broadcasted on Italia 1, local radio and TV stations, with over 5 million viewers for each episode. 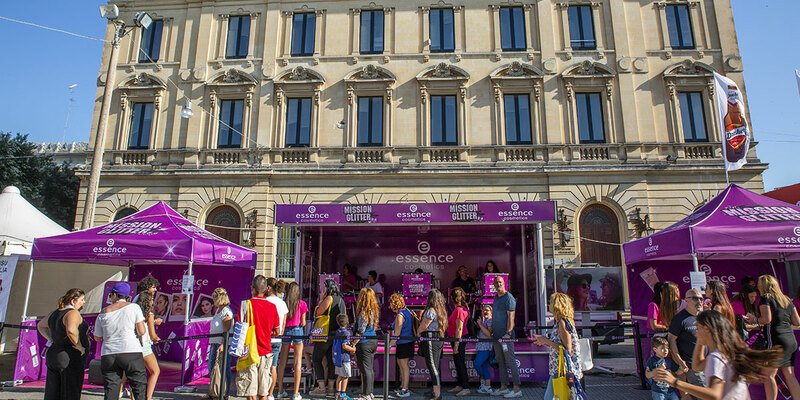 On July 1st in Ostuni, on July 8th in Lecce and on July 29th in Bari we brought the Essence Mission Glitter to tens of thousands of girls. 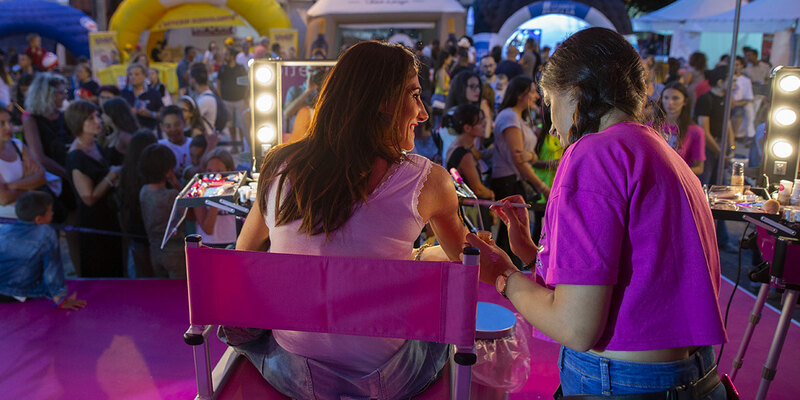 From the afternoon, inside the Battiti Village, the striking presence of a glitter stage, set up as a makeup parlor - with 3 personalized makeup stations - saw our makeup artists apply makeup and Glitter tattoo, prepare our friends to experience the electrifying Glitter Experience and be able to shine like real stars during the show. 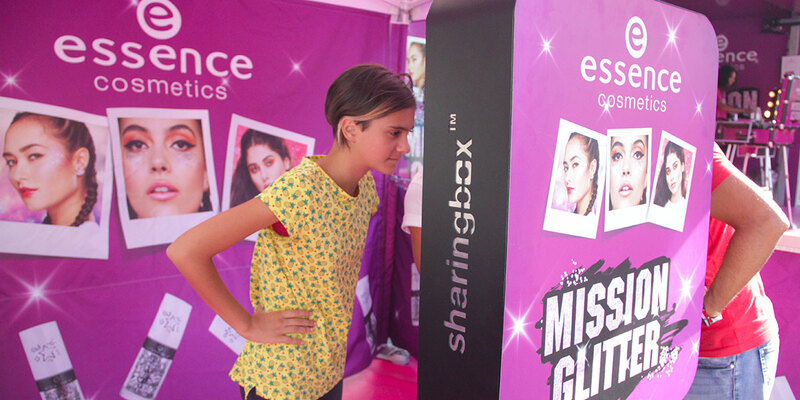 Once ready, the Glitter friends were invited to a short performance in front of the photocall. A post-shooting shot captured the images of the girls and processed them by releasing an amusing emotional animated .gif, to be shared immediately on social media and a print. Next to the stage, the engagement point to which register and receive gadgets: colorful and trendy Essence glazes, fashion fans to cool off and "bambam" to accompany the music of the evening and ... get noticed on TV. 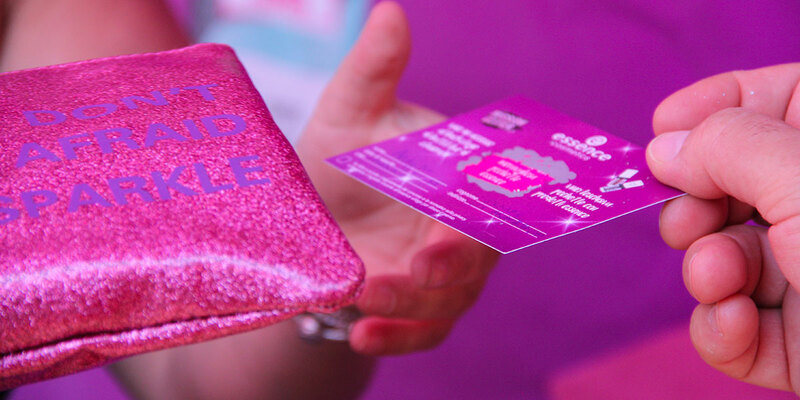 With the registration, a scratch card that gave the chance to win 120 beautiful makeup Essence pochettes and 12 VIP accesses to the Backstage of the show. During the preshow, Marco Guacci and Claudia Cesaroni involved the audience in funny performances. The final show with Battiti Live dancers, dress like cool Glitter Baby that involve the audience, dancing and giving fans and bambam.